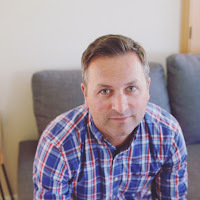 I am delighted to welcome Jon Rance to my blog today as he tells us about his new book: The Summer Holidays Survival Guide, followed by my review of this hilarious book that I think will definitely be the funniest book you will read this year. Hello. Firstly, a huge thank you to Michelle for having me on her wonderful blog. If you read the acknowledgments in the book, I say a big thank you to all the book bloggers who do so much to help me. Thank you! 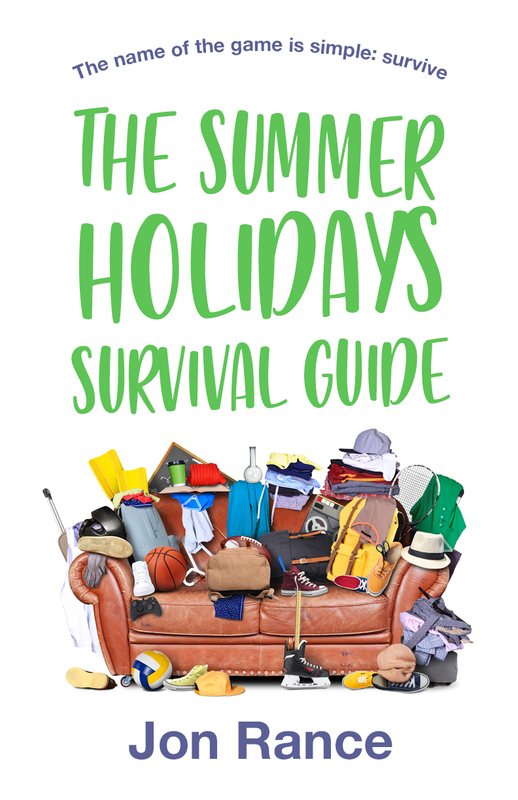 So, The Summer Holidays Survival Guide, is out! This is my seventh novel, and it’s one that means a lot to me personally for a few reasons. Last summer, my family and I went on a six-week holiday around England and Scotland. We had a wonderful time, but of course, we also had some difficult and challenging times. This is travelling with kids! It’s full of humour, drama, and the perfect storyline for a novel. At the time I had a title I’d written down a year or so earlier. The Summer Holidays Survival Guide. It was the title of a magazine article I’d read. I liked it and wrote it down with no idea when or if I’d ever use it. Then after last summer when it was time to start writing a new novel, it all sort of came together. I had the title, and I had a summer with my family, and the book was born. The novel is written from the perspective of the father, Ben Robinson, a forty-four-year-old teacher, in diary form. He has a wife, Sally, and three children, Alfie, fifteen, Liv, twelve, and Jake, eight. He also has a father, George Robinson, with dementia who is moving in with them. Obviously, the story is nothing like my summer with my family, but I did manage to squeeze in a few of the stories and conversation from my summer with my family. The story came about as I started thinking about what a difficult summer would be like – the title is called the ‘survival guide’ I couldn’t make it easy for them! So, I started with the family, and gradually I added layers of issues of problems. The sort of problems and issues all families face. I wanted to make it very real, the sort of book that almost everyone could relate to in some way. I couldn’t have something ridiculous happen to them. All of the issues are very real and down-to-earth that could happen to any of us. The real breakthrough for me with the story was when I introduced the secret from Ben’s dad’s past. This long-lost moment from George’s past has very real complications for the present, and it sends the whole family on a holiday to Scotland to get to the bottom of it. This was perfect because I could definitely use the locations and some of the things that happened to us in Scotland last summer! But this one plotline really shaped the second half of the book, and it gives the book greater emotional depth. This is the thing with writing comedy, you need to give it something more to elevate it above just jokes. I think all of my books, whether comedies or not, deal with difficult issues. In, The Summer Holidays Survival Guide, we have a failing marriage, children growing up, first love, first period, parents getting old and being sick, a definite mid-life crisis, death, and trying to deal with spending time together as a family and with loved ones in a world designed to distract us from doing just that. I think, without even realising it, I wrote a novel about my own fears, coming straight after a summer of spending so much time with my family. My subconscious was definitely at work in this book! The book is out now, and I really hope you all finish reading this and rush out to buy it. It’s a funny, heart-warming book about family, parents, children, and how it’s so important to spend time together while you can. It’s something I’m sure a lot of parents and children will be able to relate to. The phrase, ‘the days are long, but the years are short’ is something that was in my head while I wrote this. So, whether it’s partners, children, or parents, enjoy them as much as you can. And maybe after you’ve read, The Summer Holidays Survival Guide, you’ll be inspired to take a trip together! And if you’re worried, there’s plenty of hints and tips in the book about how to survive the school summer holidays together! For teacher, Ben Robinson, the school summer holidays mean one thing - spending six weeks with his kids. This year, however, he also has his father and one very angry wife to contend with. The name of the game is simple: survive. Ben embarks on a summer of self-discovery that includes, amongst other things, becoming besotted by a beautiful Australian backpacker, an accidental Brexit march and a road rage attack. There's also the matter of saving his marriage, which is proving harder than he imagined, mainly due to an unfortunate pyramid scheme and one quite large bottom. But when Ben learns his father has a secret, it takes the whole family on a trip to Scotland that will make or break their summer - and perhaps Ben's life. From Jon Rance, bestselling author of Dan And Nat Got Married and About Us, comes a comedy about one man, one family, trying to survive the hardest six weeks of the year together. This is the funniest book I have read for a long time; I am confident that it will be referred to as the funniest book of year and you honestly don't want to miss this one. If you loved watching BBC comedy Outnumbered then this is the book for you as it reminded me so much of my favourite small screen dysfunctional family. Whilst I could easily compare it to Outnumbered, I think it's a bit like a recipe where the method may be similar but the ingredients are very different as the characters in this book have their own unique qualities and challenges to cope with. Ben and Sally have three children: 15 year old Alfie, 12 year old Liv and 8 year old Jake. As if they don't have enough to cope with, Ben's dad moves in with them when it becomes clear he can't live on his own anymore. I don't want to give any of the plot away but the characters get into so many hilarious scrapes and my favourite just has to be Jake. I am still giggling now just thinking about the Cornish pasty incident and the KFC incident and I think both of these are the funniest things I have ever read in a book; I had tears of laughter rolling down my face and couldn't even tell anyone what I was laughing at as I couldn't stop laughing! I can't even look at a pigeon now without laughing but if you want to know what's so funny, you'll just have to read the book! I'm sure many people will recognise parts of their family in this book as it written with so much honesty and humour. There was a really strong family vibe and an underlying message to cherish what you have as you don't know what is around the corner. As Ben said: he'd been 'so worried about surviving the summer holidays that he'd forgotten about actually enjoying the summer holidays'. So next time you want to strangle your kids on week two of the six weeks holiday, think of those people who would love to have children to strangle. Obviously I'm not talking about literally strangling your children but just to appreciate what you have as others are not so fortunate. One other thing I'd say is do not drink anything whilst reading The Summer Holidays Survival Guide as you are very likely to spray it everywhere due to uncontainable laughter. 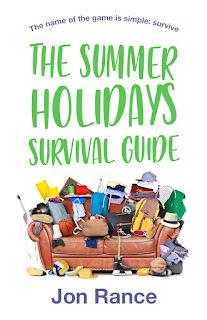 I don't have children so I wasn't sure how much I would enjoy The Summer Holidays Survival Guide but I needn't have worried as it's absolutely brilliant. 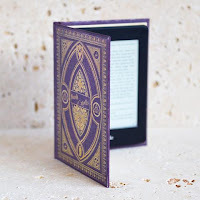 Forget about Prozac and add 1 x The Summer Holidays Survival Guide to your kindle immediately. Although beware of the side effects: guaranteed laughter, laughter induced incontinence, inability to swallow liquids whilst reading and probable tears towards the end. Pick this up and you will be addicted to Jon Rance books just like me! Jon Rance is the author of seven novels: the Kindle top ten bestseller, This Thirtysomething Life, Happy Endings (both published by Hodder and Stoughton), This Family Life, Sunday Dinners, Dan And Nat Got Married, About Us, and his latest, The Summer Holidays Survival Guide. He's also the author of the Christmas novella, A Notting Hill Christmas.